Hong Kong is a beautiful city full of places to eat, drink, and shop. The views are impressive, the harbor is beautiful, and the city is jam packed with over 7 million busy, bustling people. You can buy anything your little heart desires here. What my little heart was desiring was some good, nourishing, healthy food. And maybe a bit of junk food too. DISCLAIMER: I was not sponsored by any of these restaurants, I paid for all of my food myself, and I must say, it’s an expensive city to eat in. But a girl’s gotta do what a girl’s gotta do. I walked and ate and walked and ate and walked and ate my way through Hong Kong, all in one week. 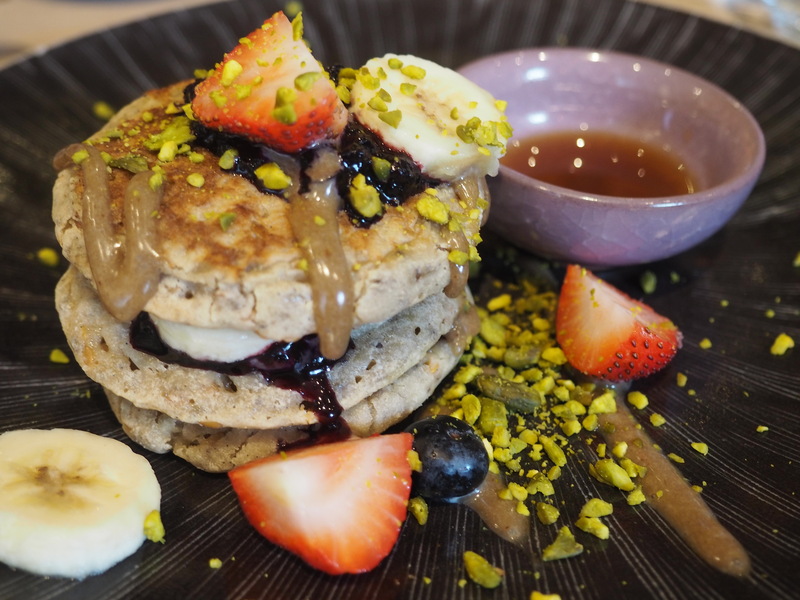 It was a busy week of eating but I was able to come up with a list of the best vegan restaurants in Hong Kong. Without further ado, let’s get into it. PS This list is not in any particular order. This place was awesome. The only drawback was that I didn’t find it sooner. There are multiple locations; I frequented the Soho location. It’s pretty close to the Man Mo temple, so stop by Classified on your way there. It’s a wonderful place for coffee, breakfast, lunch, or (my favorite meal) BRUNCH. Classified has a few vegan options and a huge variety of smoothies and drinks aside from coffee. The ambiance is great and it is SUPER instagrammable. I definitely recommend this place – I wish I’d had time to go to their other locations! Grassroots was the first restaurant I went to and I was super impressed with the menu. For breakfast/brunch, they were offering lemon chia seed pancakes, and you KNOW I had to order them. I love lemon anything and I will always order lemon whatever is on the menu. Grassroots has great coffee and a lot of vegan options. They even offer a wide variety of vegan desserts, most of which are raw. Can I get a “hell yeah”! They focus on organic and sustainable ingredients and also are an instagramers paradise. I give them 8 out of 10 for presentation – you can tell they put effort into it. The entire front wall is floor to ceiling windows. The prices are a bit high but not too extreme. I went back to Grassroots for one light dinner (vegan meatballs in marinara) and another breakfast. I got an acai bowl the second time. I think the pancakes were the best meal there. The acai bowl was good, but a bit overpriced I think (over $10) and was full of ice chunks. The place I was most looking forward to going to was Mana. I had seen the menu online and it looked amazing. They also have a few locations, and the one I went to was in Soho. They have a cafe and they also have a restaurant that focuses more on the working lunch crowd that takes food to go. They have seating, but it was pretty limited, considering the amount of people they had coming through. I’m assuming the cafe location has a bit more seating. Mana offers a great variety of healthy fast food. 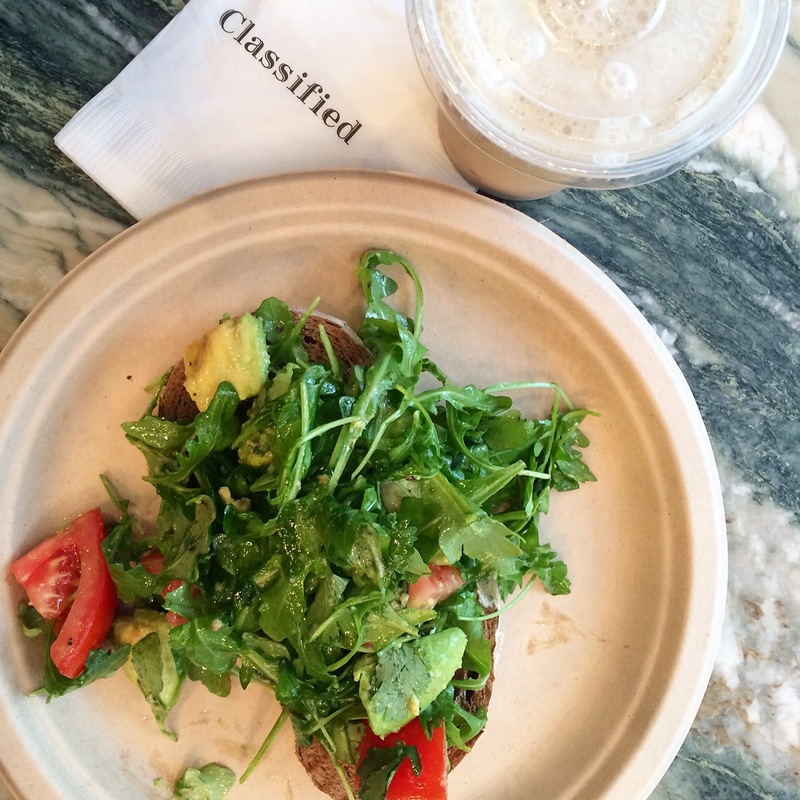 I tried a few things – the burger, the kale salad (I added avocado), and the acai bowl. Mana definitely had the best acai bowl out of the ones I tried in Hong Kong. The burger was made with a block of tofu as the “burger” part, which was not my favorite thing. 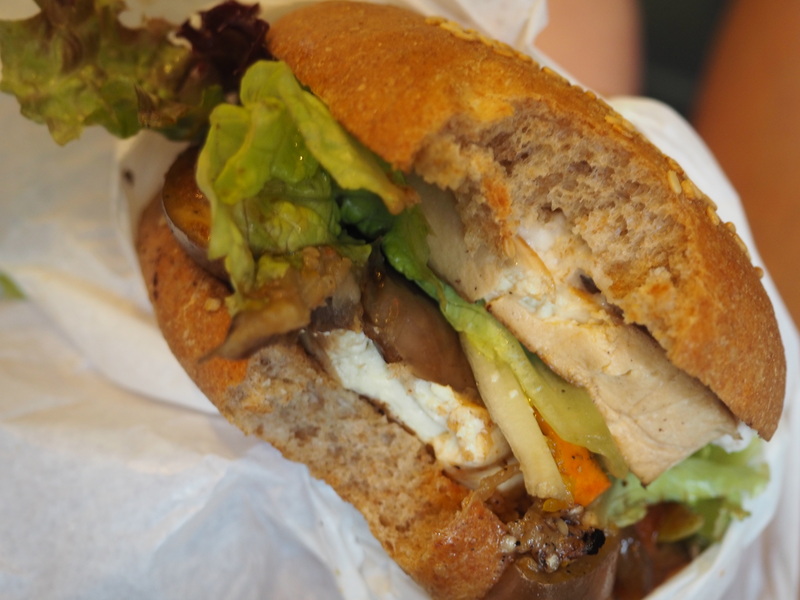 It was a bit crumbly, but the bun and the grilled veggies made up for it. I saw most people eating the flatbread wrap, which seemed to be the popular item there. See the Mana! menu here. I hadn’t searched for vegan Mexican food in Hong Kong, but I passed a few Cali Mex locations while strolling through Soho, and if you know me, you’ll know my deep love for Mexican food. Burritos are the most amazing thing in the world and they are relatively easy to veganize. But when I walked in and took a look at the menu, I saw that Cali Mex has a VEGAN BURRITO. I was sold. I ordered the Venice Vegan burrito and they even added daiya cheese to it. Like really. I could not have been happier when I saw that bag of daiya pulled out from behind the counter. The ambiance at Cali Mex is pretty cute. They had upstairs seating and a very colorful, Mexican vibe. I brought my burrito upstairs and just about died of happiness while eating it. I was so happy about it that I didn’t even get a picture. I did get video of me hugging my burrito though – see my Hong Kong video here. I would definitely recommend Cali Mex. It’s a great, chilled out place to grab a bite to eat. See Cali Mex’s menu here. Now we are moving on to the sweet stuff – dessert! 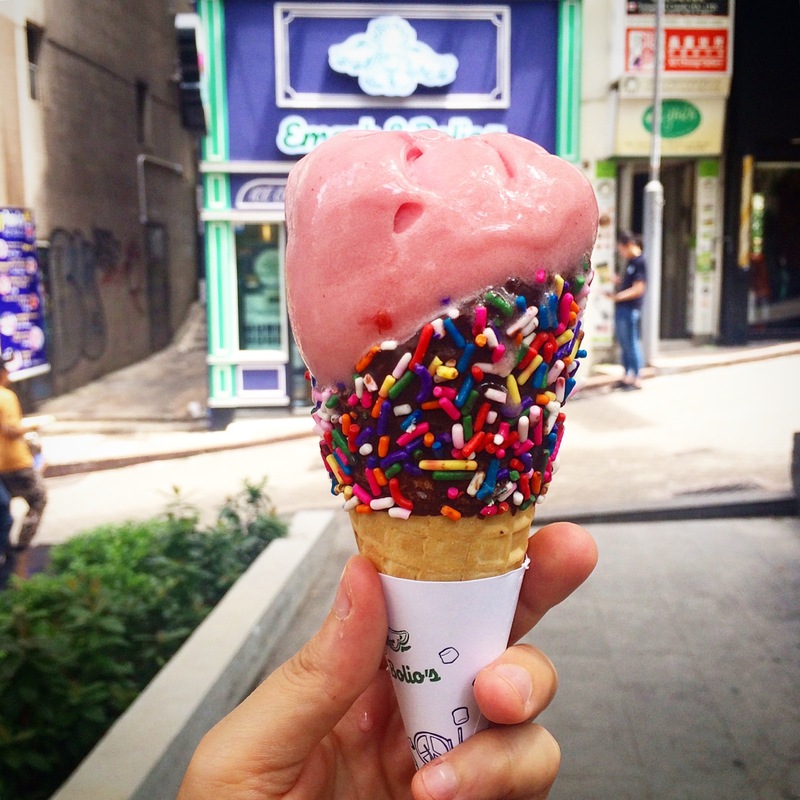 I ate so many desserts and vegan ice cream in Hong Kong. One of my favorite places was Oddies. 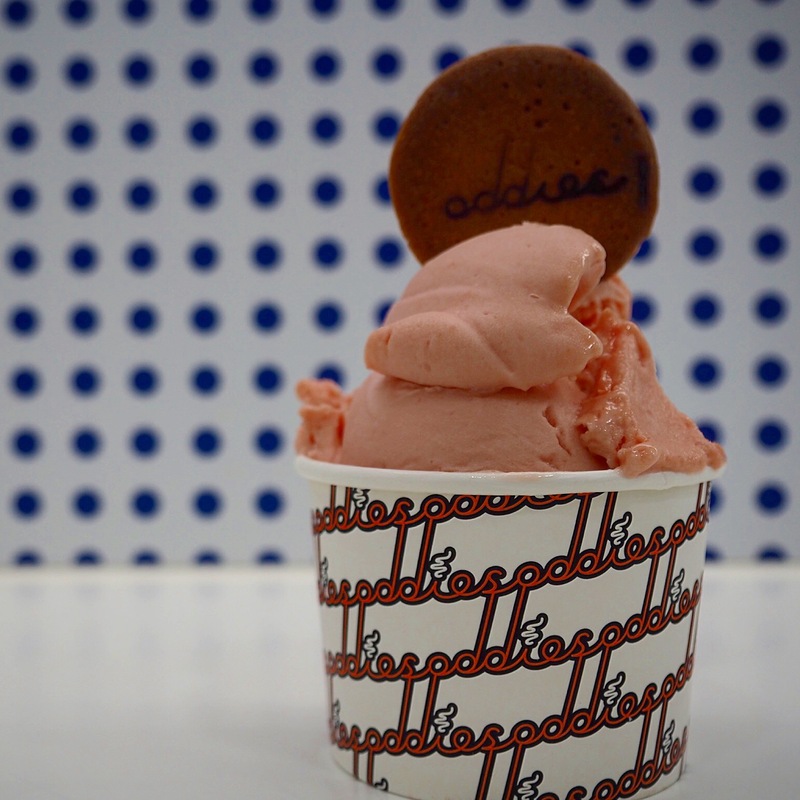 They offer a guava sorbet as well as a blood orange sorbet. I tried both and they were both to die for. Oddies is located in the Soho district, pretty close to Grassroots and Classified. Oddies is a great, very instagram worthy place to chill out (pun intended). The lighting is great and the service is friendly. Oddies doesn’t have a website, but check out their instagram here. Emack and Bolios is hard to pass by. You’ll see it while climbing the stairs in Soho. It’s a colorful, adorable, and incredible smelling place. I tried the raspberry sorbet in a dark chocolate dipped waffle cone with sprinkles and IT DID NOT DISAPPOINT. I definitely recommend this place. They have seating inside but there is also a few places to sit across the street (not part of the restaurant). I chose to people watch while eating my sorbet, and it was fun to see everyone enviously eyeing my cone. Check out Emack and Bolio’s here. What do you think of my list? Want to try any of these places or do you have a favorite restaurant in Hong Kong to add? Let me know by commenting below! 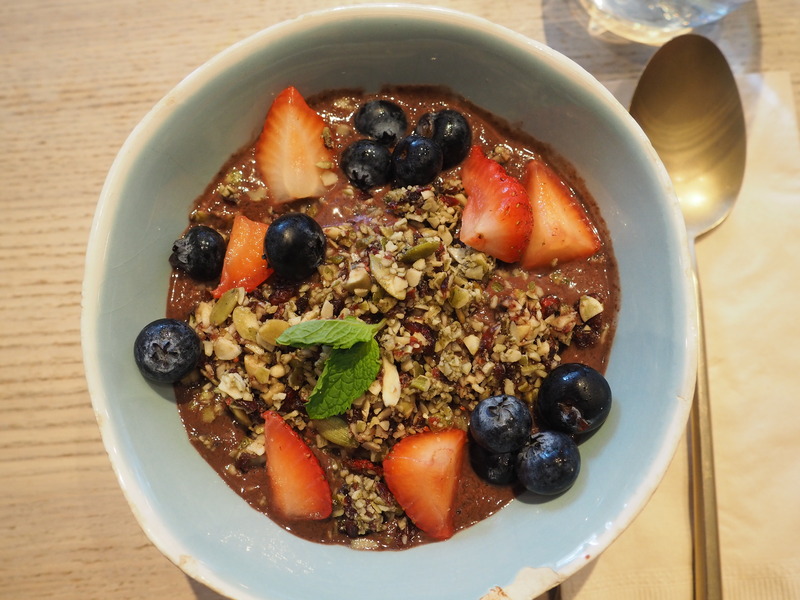 My vegan traveller friends will love this post!